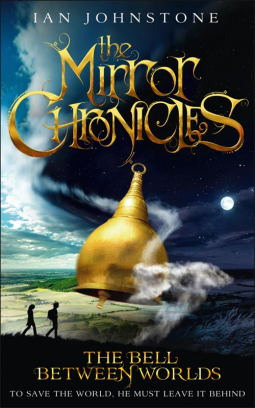 Eventually I had so many ideas that I knew I had to sit down and write, so I changed my own world, moving from publisher to writer, and began The Mirror Chronicles. I started by preparing the history and background of this other world and then I moved on to the first book, The Bell Between Worlds. This opening novel takes Sylas Tate into another world of possibilities, imaginings and second souls and brings him face to face with many of the questions I asked myself years before. Happily for Sylas (and for me!) he also begins to discover some of the answers. As you will see from the length of the book I have found that there is plenty for Sylas to discover. I have written some scenes that did not make the final cut and envisaged plenty of others that I have not yet written. To give a greater insight into the trilogy I thought I would share with you two of these unpublished scenes. The first is a prologue that I have written especially for release to you, which gives a very brief introduction to the first book and a hint of its mystery and magic. The second is a scene called The Bouncing Turnip, which I had originally written for the chapter entitled “The Mutable Inn” and which gives a snapshot of some of the more playful magic of the other world. Finally, I thought it might also be good to share an extract of one of the most pivotal scenes in the book – the scene in which Sylas first hears the chime of the bell between worlds.